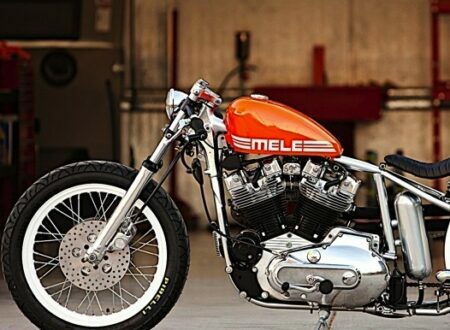 The guys at DP Customs have a knack for creating hard-tail custom motorcycles that annihilate the stereotypes usually associated with the Harley based bobber/chopper genre and this bike is no exception. Meet the Mele. 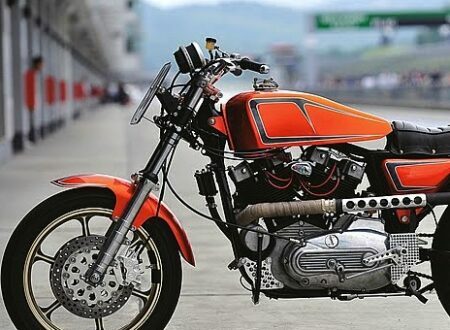 This eye catching Harley XLH Racer was built by Vee Machine out of Japan, they’ve taken the base 1981 XLH and created an exceedingly capable racing bike, right down to the drilled heat sinks on the engine block. Randy De Puniet, a well established star in the world of MotoGP, took delivery of his first Deus Ex Machina motorcycle this week. 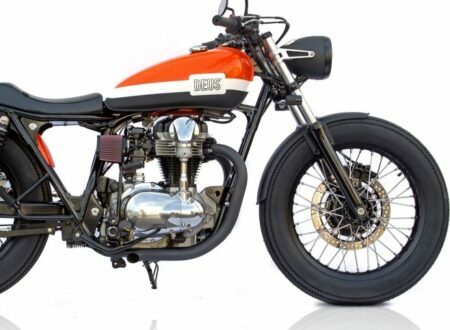 He commissioned Deus to build him a mid-sized bike with a 2-up twin, it had to be light enough for spirited city riding and have enough power on tap for highway excursions out of Sydney.